Last Chance Audubon Society offers birding trips lead by experienced birders to local areas around the Helena valley. Trips are free and open to members and nonmembers. Participants at any level of skill and experience are encouraged to attend. Trip leaders provide information on bird identification, natural history and conservation. Bird trips are most commonly scheduled between March and June. Trips are a half day or longer depending on the area visited and usually involve car pooling among trip participants. Each trip participants needs to have binoculars. Bring snacks or lunch if appropriate, water, and dress for the weather. A bird identification field guide is useful. Please contact trip leaders to let them know your interest in attending their trip. The 2018 Field Trip season has concluded. Please revisit our site in the spring (2019) for a new slate of field trip opportunities! *PLEASE CALL OR EMAIL LEADERS TO MAKE RESERVATIONS. BRING BINOCULARS, SCOPE IF APPROPRIATE, FIELD GUIDE, SNACKS AND WATER. DRESS FOR THE WEATHER. this area, and there may be some pelicans by then. The trip will also include a visit to the reservoir at the end of Lower Confederate Road. Call Amy at 406-210-9449 to reserve a spot on the trip. Meet at the Albertson’s parking lot (on 11th Avenue) at 8 a.m. Expect to return to Helena by 2 or 2:30 p.m.
Brian Shovers and Jo Lace will lead a trip to the ponds in the Deer Lodge valley. On recent trips, they have counted 65 species. Highlights include 13 species of ducks and grebes, a Black-Crowned Night Heron, a Sora, Semiplamated Plover, 9 species of shorebirds, and a Lazuli Bunting. Contact Brian or Jo at 406-443-6640 by May 14 to reserve a spot. Meet at the west end of the Lundy Center (on Euclid) at 7:30 am and expect to return by 3:30 p.m.
Come join Montana Audubon and co-host Flathead Audubon Society, for Montana Audubon’s Annual Bird Festival June 8-10, 2018, at the Kalispell Red Lion Inn in Kalispell. All festival activities will take place Friday through Sunday at the Red Lion Inn, including registration, field trip departures, guest speaker presentations, meals, banquet festivities, our 40th Anniversary barbecue, and much more. 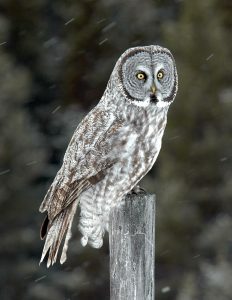 Details regarding the festival can be found at montanaaudubon/birdfestival. Register early to get your first selection of Field Trips! cottonwood bottom forest. It should be an exciting morning. Please note that no dogs will be allowed. Call Coburn at 449-2574 or email clcurrier@hotmail.com to reserve a spot. Tower Rock area might provide a look at White-throated Swifts as well. Meet at the northeast corner of the Costco parking lot off Washington Street at 7 am and expect to return in early afternoon. Contact Dan at daellison70@gmail.com or 442-7207 to reserve a spot. this time as well. Starting before dark means the group should see towhees, bluebirds, Rock Wrens and Dusky Flycatchers with little trouble. Bats could be mixed in as well if people are interested in that. a convenient place to stay for people who don’t want to drive home after the program. expect to be back by 1 pm. Call Don at 465-6135 to reserve a spot. reliable location for finding a dozen to twenty or so species. Meet at the K-Mart parking lot at 9:30 am. 12:30pm. To reserve a spot, contact Bob at rmartink@aol.com. The group will drive to the Golden Eagle Migration Survey (GEMS) site near Duck Creek Pass in the Big Belt Mountains. Carpooling is strongly recommended. High clearance and/or 4WD vehicles are also recommended. We will return by 5 pm. Birders will practice identifying raptors and assist the observers with sighting and recording raptor data. Raptors likely to be encountered: Golden Eagle, American Kestrel, Sharp-shinned Hawk, Cooper’s Hawk, Northern Goshawk, Red-tailed Hawk, and possibly Bald Eagle. Other species may include: Wild Turkey, Dusky Grouse, Red Crossbills, Clark’s Nutcrackers, Gray Jay and others. Field trip participants can choose to hike either to the main observation area (a 1.4 mile hike with a 900 vertical foot gain), or to the secondary site which is a short walk. There will be capable observers at both sites for the workshop. Dress for hiking and for the high mountain weather conditions at 8,000 ft. elevation. Bring lunch, water, snacks, day pack, binoculars, camera, and possibly a walking stick. Cost of $50/person for classroom and field trip is tax deductible. All funds raised from the workshop benefit the GEMS project. 30 person limit. Registration is required and early reservations are advised. Registration details will be posted when available. Meet at Birds & Beasleys, 2 S. Last Chance Gulch at 7:30am each Saturday to enjoy two hours of local bird fun. Locations rotate throughout the summer but include Spring Meadow Lake, Fairgrounds Pond, and the Cement Plant trail along Prickly Pear Creek and anywhere the group decides to go. Trips are led by staff or experienced local birders. Families and beginning birders welcome. Call 449-0904 for more information.